Psalm 73, “A Psalm (and a Place) For Struggling Christians” (August 2015)– sermon by Pastor Brandon Wilkins. Matthew 5:1-16, “Mission Disciple” (September 2015)– sermon by Mr. Jeremy Baker, student at Mid-America Reformed Seminary. Luke 3:1-15, “John’s Ministry of Repentance” (October 2015)– sermon by Pastor Brandon Wilkins. Psalm 100, “Giving Thanks to the Lord, Our King” (November 2015)– sermon by Pastor Brandon Wilkins. John 20:1-18, “The Resurrection and You (and Me and the World) (Easter 2016)- sermon by Pastor Brandon Wilkins. 2 Samuel 19:8-15 (May 2016)- sermon by Mr. Brad Robinson, student at Mid-America Reformed Seminary. March 18, 2018, Ephesians 1:3-14, “The Gospel of the Triune God”– a sermon by Mr. Dhananjay Khanda. June 24, 2018, Psalm 2, “The Reign of the Messiah, The Son of God”– a sermon by Mr. Dhananjay Khanda, intern at Hope OPC in Grayslake, IL. 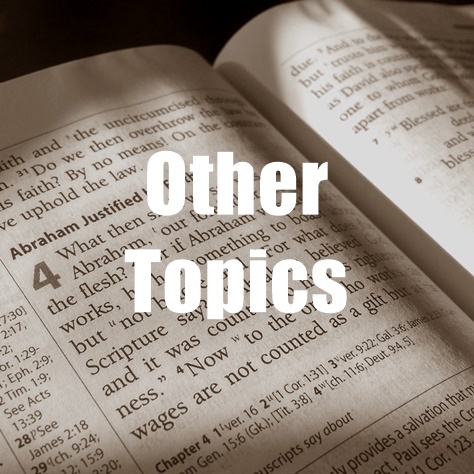 July 22, 2018, Genesis 28:10-22, “Guide Me, O Thou Great Jehovah”– a sermon by Mr. Dhananjay Khanda, intern at Hope OPC in Grayslake, IL. August 26, 2018, John 3:1-21, “The New Birth”– a sermon by Mr. Carl Gobelman, summer intern at Christ Covenant OPC. November 4, 2018, James 1:1-4, “Count It All Joy”– a sermon by Mr. Carl Gobelman, student at Mid-America Reformed Seminary.